Memo to Self: “I need to quit." 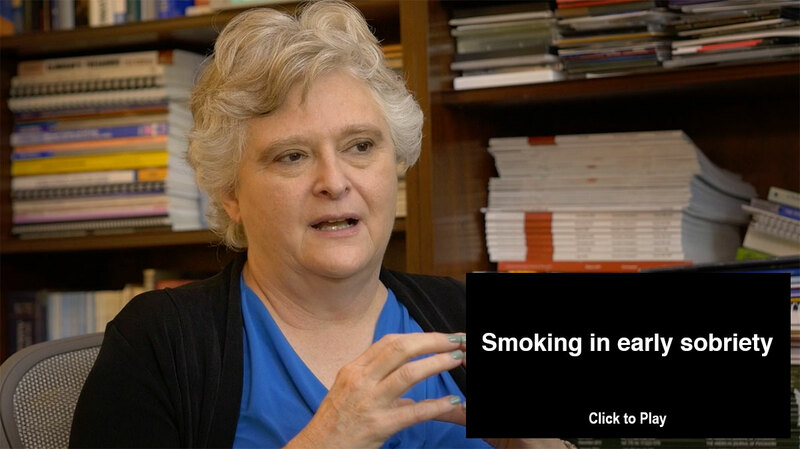 Dr. Howell discusses the importance (and difficulty) of incorporating nicotine cessation into the Recovery Management of people in early sobriety. Stopping smoking during first year of substance use treatment predicted 9-year alcohol and drug treatment outcomes. Structural and cultural barriers to the adoption of smoking cessation services in addiction treatment organizations. Evidence, Policy, and E-Cigarettes - will England reframe the debate? What we did at Le Mont with regard to nicotine cessation: One thing that concerned me was the high rate of smoking among the people who came to the house who had recently graduated from residential treatment. We required our residents, as part of their establishing a relationship with a local Addiction Medicine Specialist, to at least discuss the subject of nicotine cessation. Since we closed Le Mont in 2012, our policy on nicotine use among residents and staff did not have the opportuneity to evolve beyond that requirement. Dr. Howell lists the medications currently approved by the FDA for treating substance use disorders. Medication for the treatment of alcohol use disorder: a brief guide. The Clinical pharmacology of acamprosate. Acamprosate: an alcoholism treatment that may not be what we thought. Disulfiram efficacy in the treatment of alcohol dependence: a meta-analysis. The Impact of disulfiram treatment on the reinforcing effects of cocaine: a randomized clinical trial. What we did at Le Mont with regard to medication: As the provider of a recovery management/recovery residence, I did not feel it was our right to insinuate ourselves into a relationship between patient and doctor. 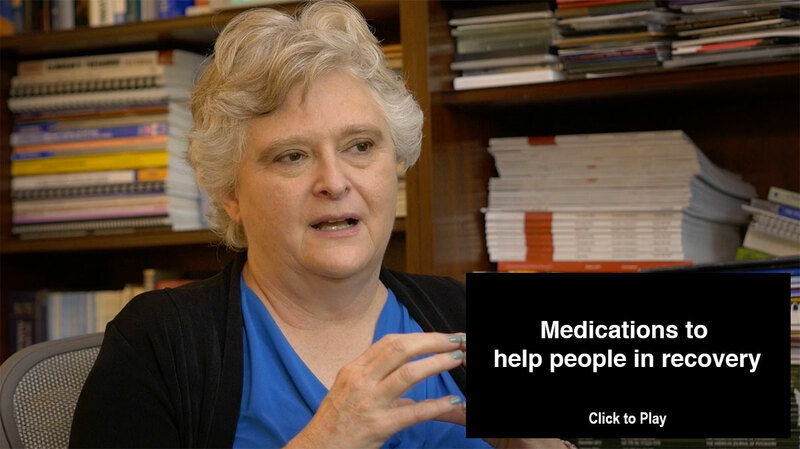 If a resident was earnestly participating in the other recovery management elements required to live in our home, and if they had in good faith established a relationship with a local Addiction Medicine Specialist, and if out of that relationship emerged the shared decision to use a particular medication, even a controlled substance, as part of that resident’s overall recovery plan, then it was our job to facilitate that part of the resident’s plan, not to judge the clinical decision made. Nevertheless, from a safety perspective, there is risk in bringing an addictive medication onto the premises. To offset that risk, we developed a “Controlled Substances Protocol.” The medication was stored in a secure manner (a safe in a locked staff-only office). Every dose of the medication taken by the resident was witnessed and recorded. Staff conducted pill/strip counts daily and recorded the result. As part of regular drug testing of the staff, the medication in question was added to the testing panel. It was essential for our staff to have a good relationship and open communication with the prescriber to report the resident’s Recovery Plan performance. We found, with this level of structure, very few problems regarding medication occurred. We saw no diversion of the medication. There were no conflicts between staff and residents about the medication, nor were there conflicts between residents on medication and those not on medication. We found that good Recovery Management principles reduced, if not eliminated, the problems often purported to medication-assisted treatment. 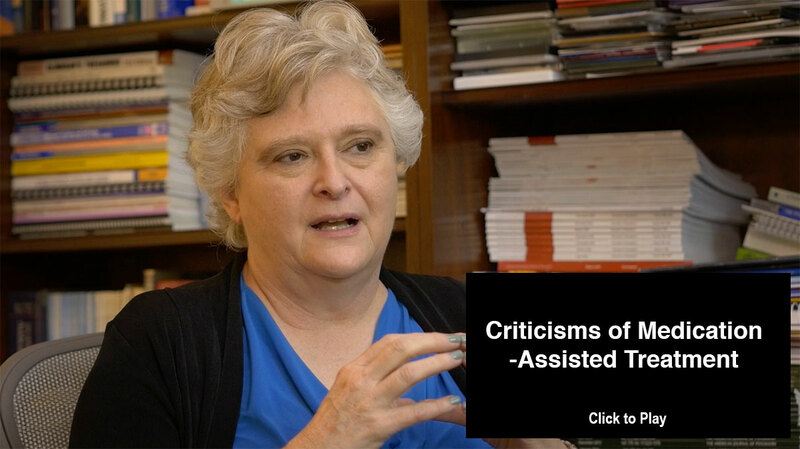 Dr. Howell describes the evolution of her own thinking with regard to the controversy of Medication-Assisted Treatment.